As I was reading in my bible study this morning, the author was talking about how we should have deep roots in Christ. Well, naturally, I began to think about my roots. I’m here to tell you that my roots are in horrible shape! I’ve got to make an appointment with Natalie ASAP before this gray gets completely out of control! It’s a sad day when I’m reading about being deeply rooted in Christ, and all I can think about is getting my roots colored! 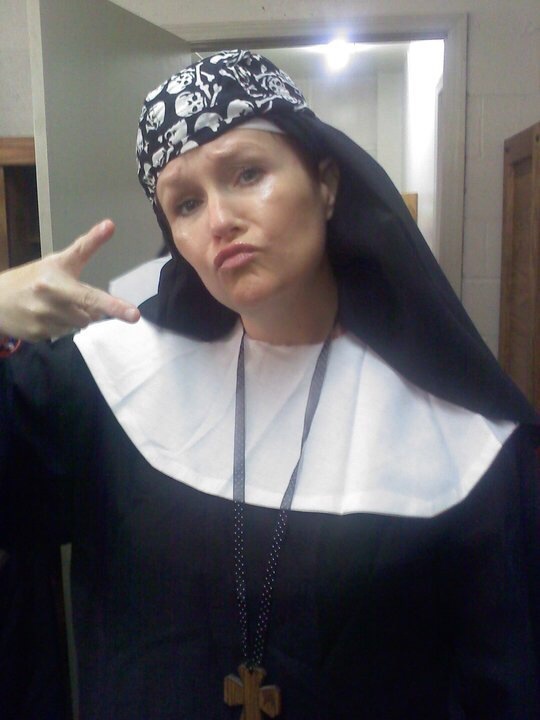 If I put as much effort into my spiritual roots as I did into my gray hair, I’d be a nun! Wait, I guess being a nun is out of the question for me. I suppose I’ve broken their vow of celibacy. Not to mention, I think they take a vow of silence. Yeah right! Celibate AND silence?!? Not a chance! Besides, those are hard habits to break. Get it? Habits?? You know, that’s what nuns wear?? Ok, moving on. Not all of us are meant to be nuns, but all of us were made to worship Jesus Christ! No matter if you’re celibate or sexual, (within the realms of marriage, mind you!) silent or shouting, there’s something inside every human being that longs to worship God! And it doesn’t matter if you say you believe in Him or not! Your belief in Him doesn’t change THE TRUTH! What not believing in Him does change, however, is where you will spend eternity! Not to mention, one day, you’re going to worship Him whether you want to or not! If you don’t know Jesus as your savior, and are curious, talk to me! I’ll answer any questions as best I can, and if I don’t know the answer, I bet I can find someone who does!! Don’t miss out on what God has for you! His way is better!! Ok, now that I’ve worked in my spiritual roots, I think I’ll work on my gray roots! Natalie!!! Here I come!!! Posted in Daily devotional.Tagged humor, inspitational. Previous Post My Gung-honess Done Got Up And Went!